Las Colinas is a thriving and growing community in the heart of Irving. New developments near the Irving Convention Center at Las Colinas continue to keep this area a bustling center for Irving and the Dallas/Fort Worth Metroplex. 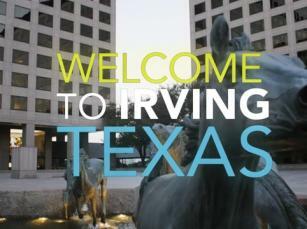 Explore some of Irving’s new developments below. The Toyota Music Factory has established itself as the entertainment destination in North Texas. Known for the 8,500-seat indoor/outdoor concert hall and amphitheater booked by Live Nation, The Pavilion at Toyota Music Factory; a sprawling outdoor plaza; Texas Lottery Plaza; dozens of the region’s best bars and restaurants; and an Alamo Drafthouse Cinema; the live music powerhouse continues to add enticing amenities to its already impressive selection, from new bars and restaurants to distinctly Irving events. Toyota Music Factory is home to many local favorites: Alamo Drafthouse Cinema, Bar Louie, Gloria’s Latin Cuisine, Thirsty Lion Gastropub & Grill, and more. Restaurants and bars that are slated to open soon include The Green Gator, a family-friendly Cajun-American restaurant; Kitchen 101 Grill & Wine, a fast-casual dining or take-out spot; Rayleigh Underground & Violet Room, an upscale immersive dining and entertainment space; and Reservoir, a modern and industrial gastropub serving up southern comfort classics. The brand new, $113-million The Westin Irving Convention Center Hotel at Las Colinas will open in February 2019. Located adjacent to the Irving Convention Center, this 350-room hotel will also provide 47,000 square feet of meeting space, including a 10,000-square-foot ballroom. Guests will be able to enjoy craft tequila cocktails at the onsite tequila bar, Mesa Mezcal, or sip coffee from the coffee bar. The 12-story hotel will be a welcome addition to the area, providing another luxurious place for guests to call home while attending events at the Irving Convention Center. Located across from the Mustangs of Las Colinas and on the edge of Lake Carolyn, the Water Street District is a mixed-use, pedestrian-friendly area with luxury residential and retail space. The area includes a $100-million Gables Residential lakefront development, which boasts 326 high-end apartments and 60,000 square feet of retail and restaurants, including El Famoso, a popular Mexican food spot; and Olivella’s, a Neapolitan-style pizza joint. Gourmet bistro Cork & Pig Tavern opened in late 2018; as did Big Little Market, a gourmet deli with groceries and produce, as well as specialty vegan and organic items, beer, wine, and meals to-go. Hugo&apos;s Invitados, an all-organic and all-natural Mexican eatery also opened recently. More restaurants, like The Ginger Man, are expected soon. Located across the street from the Irving Convention Center, the boutique-concept Texican Court hotel is now open. Featuring 152 charming guest rooms, wood-burning fire pits outdoors, a circular pool, and, in true southwestern spirit, a craft tequila bar, Texican Court adds rustic and Southern charm to the lodging options near the Irving Convention Center. Stay tuned for more new developments near the Irving Convention Center coming soon!